The C1-HV 20 dB Broadband Amplifier is a general-purpose low-noise current amplifier with an analog bandwidth of 2 GHz. Its speed is optimized for use as buffer amplifier in combination with diamond detectors. A Bias-Tee is included for the bias supply of the detector. 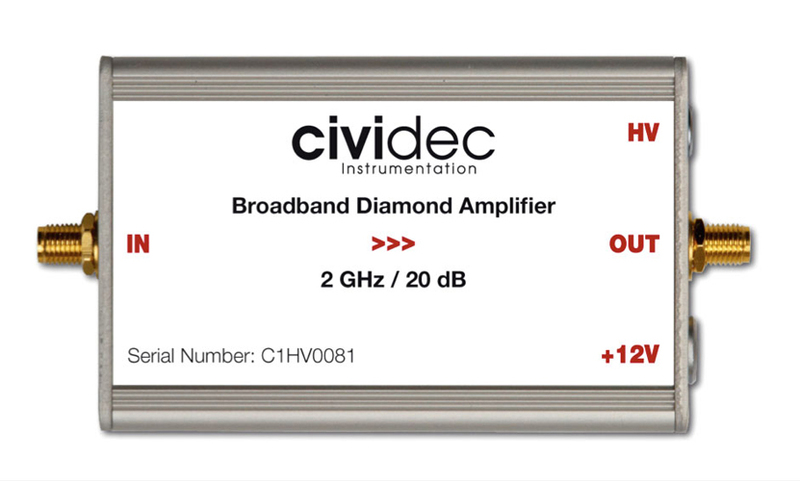 The C1-HV is an ideal buffer amplifier for diamond detectors - Bias-Tee included! The C1-HV Broadband Amplifier is an inverting, bipolar current amplifier with 20 dB amplification. A high bandwidth of 2 GHz with excellent linearity is provided by this amplifier, which makes it ideal as buffer amplifier for detector applications. 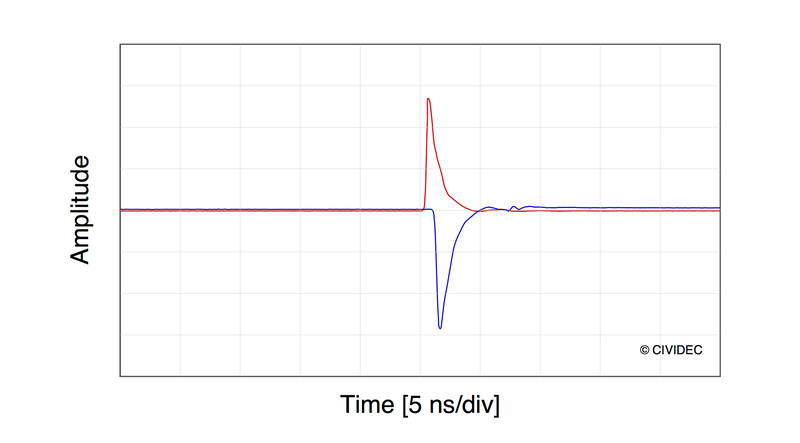 The input signal during electronic calibration is shown in the Figure in red. The amplified, inverted output signal of the amplifier is shown in blue.